State Representative Steve Stafstrom, joined by members of Bridgeport's legislative delegation, welcomes approval by the State Bond Commission of funding for improvements to the Klein Memorial Auditorium facility in Bridgeport. In addition to a rich variety of performances from orchestras, plays and other services, The Klein offers the only tuition-free after school arts program in Bridgeport. $2,650,000 was allocated to the Klein for the installation of an elevator, technology improvements and code required improvements. 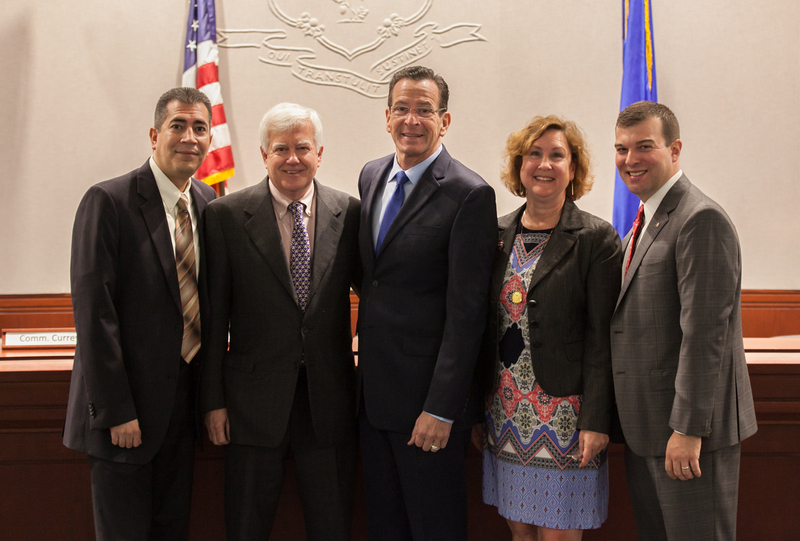 “All of us at The Klein are extremely grateful to Governor Malloy, our chief sponsor Representative Ezequiel Santiago, Representative Stafstrom, and the other members of the Bridgeport delegation. This funding is an investment by the State, and we proudly accept the responsibility to apply it toward the betterment of Bridgeport. Additional thanks to Mayor Ganim and his administration who have generously offered their encouragement and support,” Laurence Caso, Executive Director, The Klein.